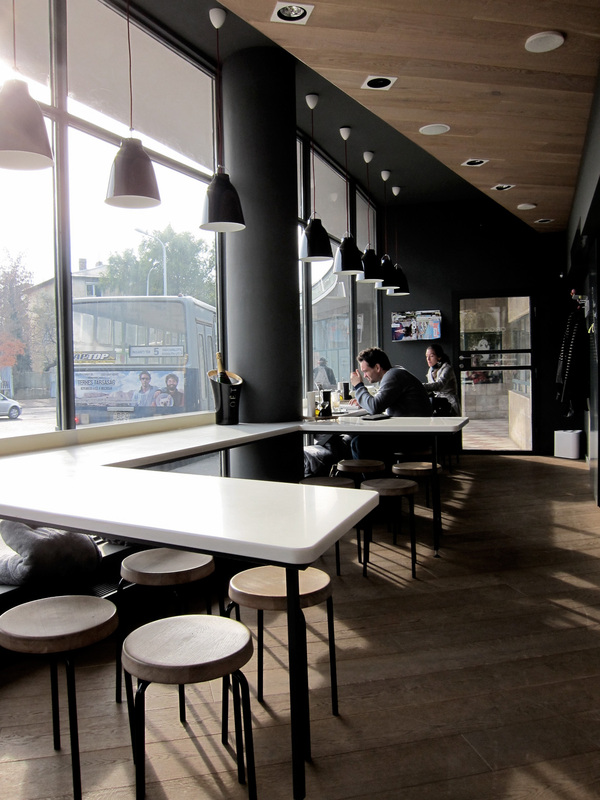 The cafe is located on the ground floor of the former international bus terminal from the 1920s. 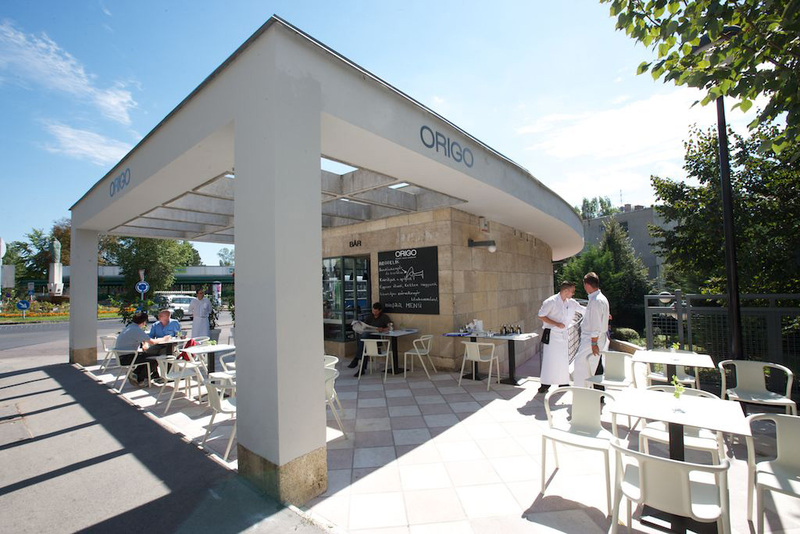 It is the partner space of the Origo Bistro located on the lower ground level. 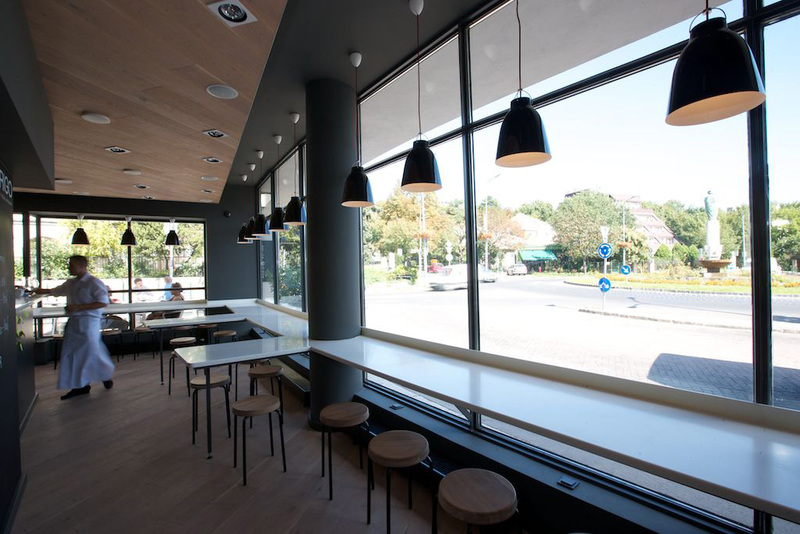 The interior is the more playful and casual of the two spaces. 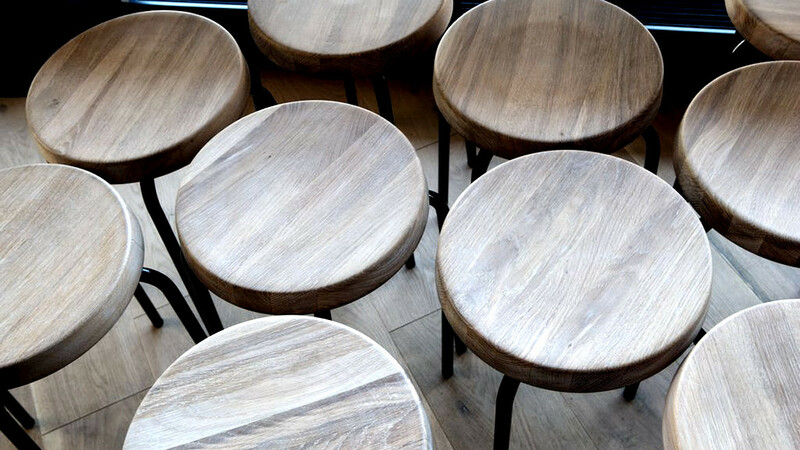 Similarly to the bistro, the material palette is reduced to match the existing structure. 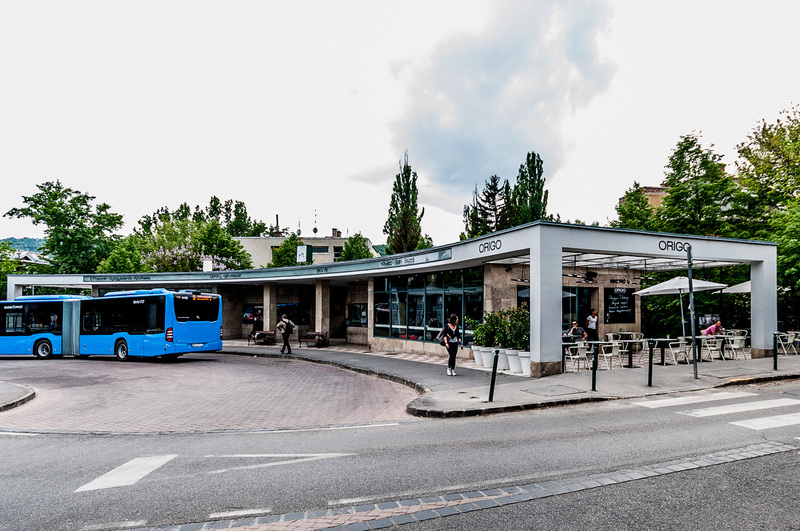 The focus of the cafe has been orientated outward to take full advantage of the unique people watching opportunity the area provides, which is a major roundabout and thoroughfare of Buda as well as a local bus station.